Gabriella Kelly is progressing to the University of Oxford to study Medicine. The former Archbishop Ilsley Technical College student left the College in 2016, after achieving all A and A* grades in her A level Biology, Chemistry and Mathematics studies. 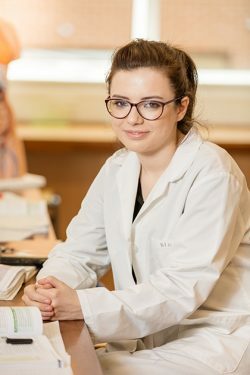 Despite having dozens of students progress to Oxbridge in the recent years, Gabriella is the first to get a place at Oxford to study Medicine and she had to put herself through a vigorous application process to even get an offer. As well as top grades, her application was boosted by her involvement in the College’s Pre-Medical School enrichment. This gave her and fellow aspiring medics the opportunity to go on trips to universities to take advantage of open days and seminars related to her field of interest. It also demonstrated a commitment to Medicine that will certainly have impressed the University of Oxford.